Following on from the success of 2016, Kenway & Clark is ready to help you prepare for the coming season. Taking into account the recent blessing of the rain, you can guarantee that with the heat will come the weeds. You can prepare to combat weeds with a new CASE IH Patriot Sprayer, the only sprayer on the market with AIM Command Pro. Kenway and Clark is offering extended warranty, extended tank size, and a choice in wheel size. We also offer competitive CNH Finance (terms & conditions apply). Back that up with a multi-million dollar parts inventory and a team of experienced service technicians you’ll know that you’ll plan better, work better and be better rewarded for your efforts. As always, Kenway & Clark is here to assist you in all aspects of your agricultural enterprise, from ground preparation to spraying through to planting, fertilizing and harvest. 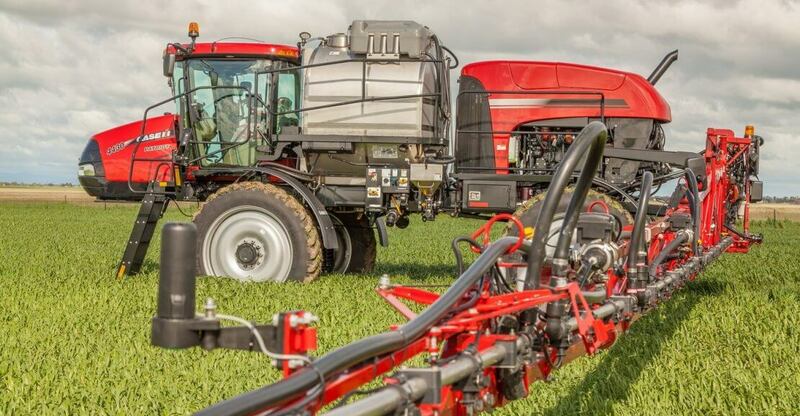 With Kenway & Clark you’ll be put right with either new CASE IH agricultural equipment or quality used farm machinery. With that in mind, Kenway & Clark also has a range of used self-propelled and boom sprayers. Don’t let the weeds get you down, get on top of them with a CASE IH Patriot Sprayer or a used self-propelled or boom sprayer. Contact your local Kenway & Clark Sales Team at Moree, Goondiwindi, Inverell or Wee Waa.